We accept fax orders for new and existing customers. Please print and complete our order form to fax in your order so we can process it quickly. You can order or re-order on this website using a credit card or purchase order number. Simply browse our site and use our shopping cart system to place your order. If you prefer to order by email you may send a message directly to our sales staff. Include your company name, contact information and order information and we will contact you for payment. Buy with confidence from a worldwide dealer of safety supplies. 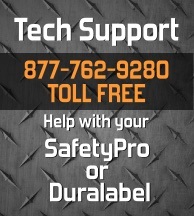 We offer incredible prices on SafetyPro and DuraLabel compatible supplies. 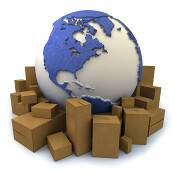 International customers may contact us directly at 503-762-9280 for questions, sales or support.